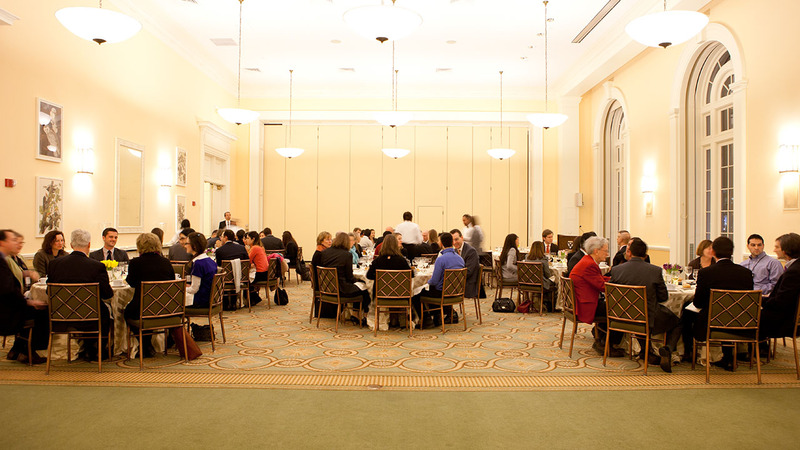 Many indoor spaces inside the buildings of the Harvard Business School campus have been named in honor or in memory of donors, alumni, faculty, and friends of HBS. 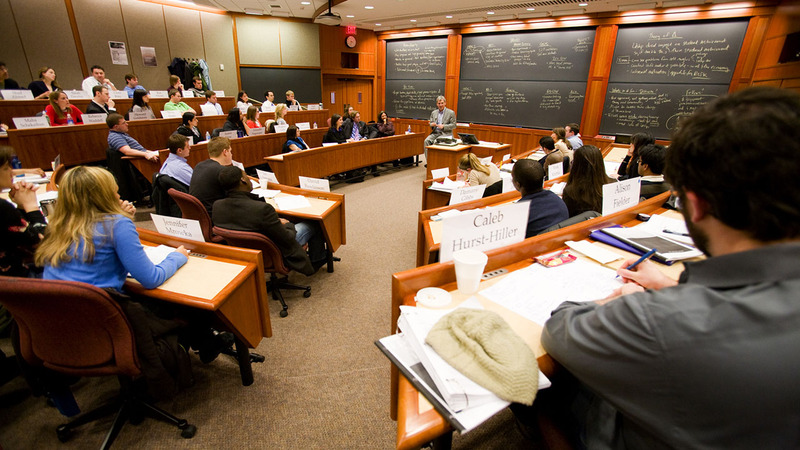 The Franklin R. Anderson Classroom, located inside Aldrich Hall, was made possible through the support of Nathaniel de Rothschild (MBA 1971) and is named in honor of his classmate Franklin R. Anderson (MBA 1971). The Dan Bricklin Classroom, located inside Aldrich Hall, was named by the School in honor of alumnus and technology entrepreneur Dan Bricklin (MBA 1979). 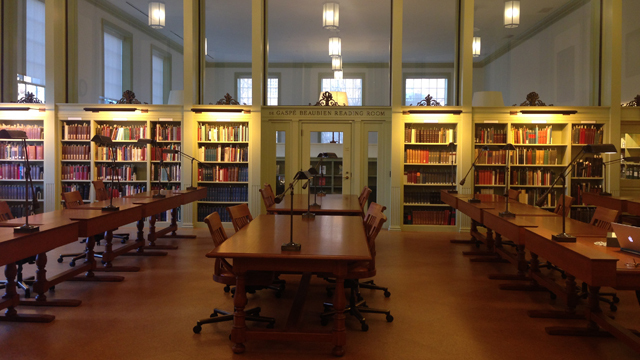 The de Gaspé Beaubien Reading Room, located in Baker Library|Bloomberg Center, was made possible through the support of the de Gaspé Beaubien Family Foundation and is named in honor of the family’s support of Baker Library Historical Collections. 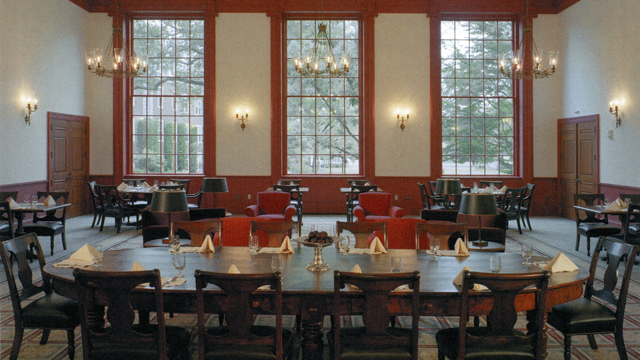 The Donaldson Room, located within the Emeriti Faculty Center of Cumnock Hall, was named to honor the service of Professor Gordon Donaldson. 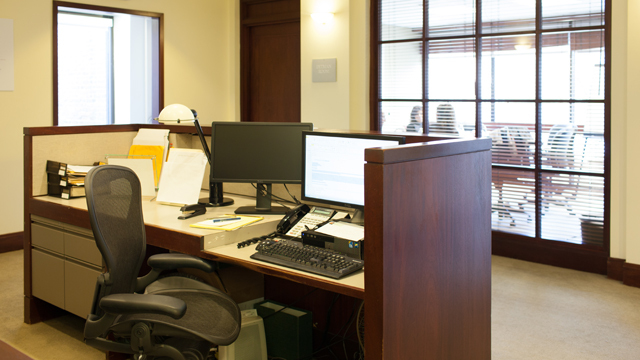 The Emeriti Faculty Center, located in Cumnock Hall, provides well-appointed offices and support services for HBS emeriti professors. 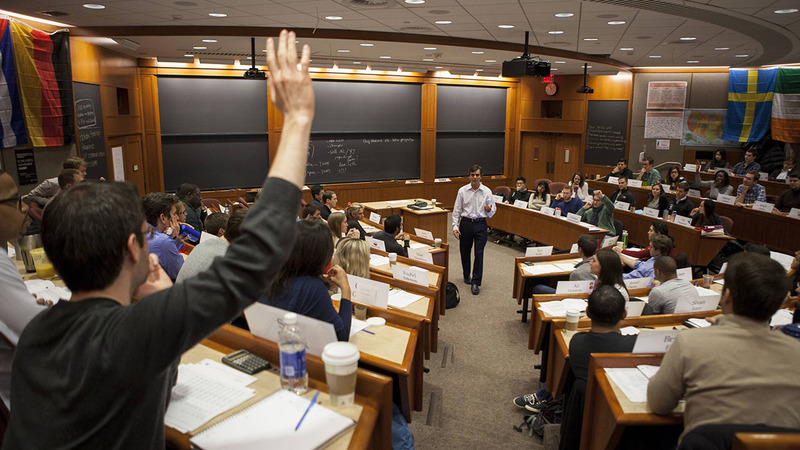 The Center offers a wide array of amenities to retired emeriti faculty at HBS. 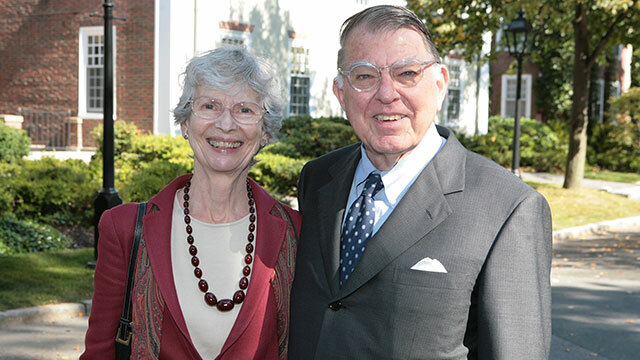 The Frist Faculty Commons, located in Baker Library|Bloomberg Center, was named in recognition of the leadership support of the Thomas F. Frist Jr. family. This room located in the Spangler Center honors Meredith Riggs Spangler, beloved wife of C.D. Spangler and a director of the C.D. Spangler Construction Company. 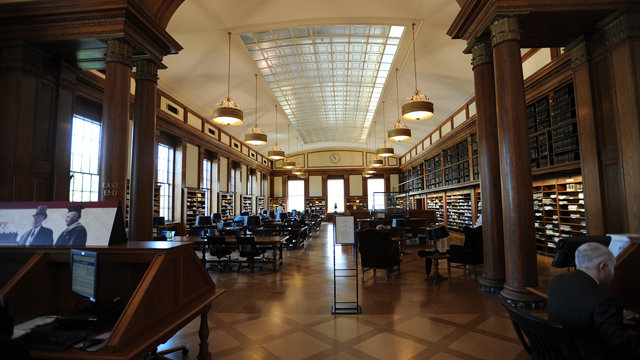 The Stamps Reading Room, located in Baker Library|Bloomberg Center, was made possible through the support of the charitable foundation of E. Roe Stamps IV (MBA 1974) and Penelope W. Stamps and is named in honor of their support of the renovation of Baker Library. The Tennenbaum Technology Operations Center, located in Shad Hall, was named in honor of Michael E. Tennenbaum (MBA 1962) in recognition of his support of educational technology. 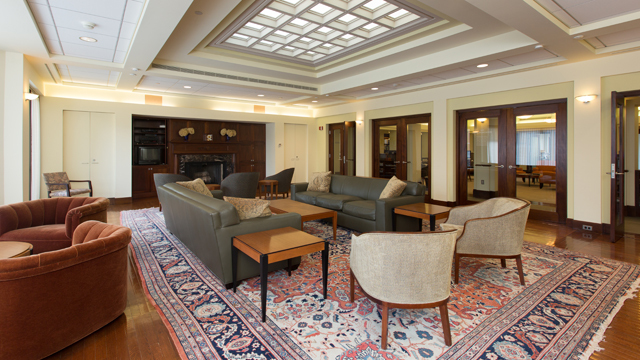 This room located in the Spangler Center is named for the late Charles M. (“Charlie”) Williams (MBA 1939, DCS 1952), a renowned HBS professor who influenced the lives and careers of legions of MBAs and executives around the world during his four decades as an active HBS faculty member (1947–86).